Although she had come to Sestriere intent on winning a gold medal in the women's giant slalom, Julia Mancuso went home with an unexpected but equally welcome prize. After the 22-year-old Italian American beat Poutiainen of Finland and Ottosson of Sweden, she was contacted by distant Sicilian cousins whom she hadn't even known existed. Very much her own woman, Julia prepared for the Games by summering in Hawaii, where she surfed, water skied and cycled to build up her fitness levels. "It's all good for my skiing," she remarked. How right she was. SCI ALPINO - DISCESA E SUPER GIGANTE FEMMINILE: CHE ADDIO! Michaela Dorfmeister had one motto throughout her long career: "Success." And that's how she bid farewell to the sport at Torino 2006. A fitting response to Raich's double victory in the men's competition. The two-time world champion ended her career by taking gold in both the Olympic downhill and super-G, making her the first women to do so. Dorfmeister's career could not have finished on a higher note, because she had already decided to quit competition when she won the two Olympic titles just short of her 33rd birthday, a record-breaking young age. "Perhaps having made the decision, the pressure was off me. But after the disappointment of Nagano and Salt Lake City it was my last chance," she admitted later. Two bronzes and a long-awaited gold, the first in a career that already encompassesd two World Cup titles. Twenty-five-year-old Anja Paerson of Sweden, bronze in the downhill and combined, was finally crowned queen of the slalom ahead of Hosp and Schild of Austria. Celebrations for "Lilldoppa," as she is known to her friends. Paerson hails from the tiny village of Tarnaby, (population 900) near the Norwegian border, which also happens to be the home of skiing legend Ingemar Stenmark. 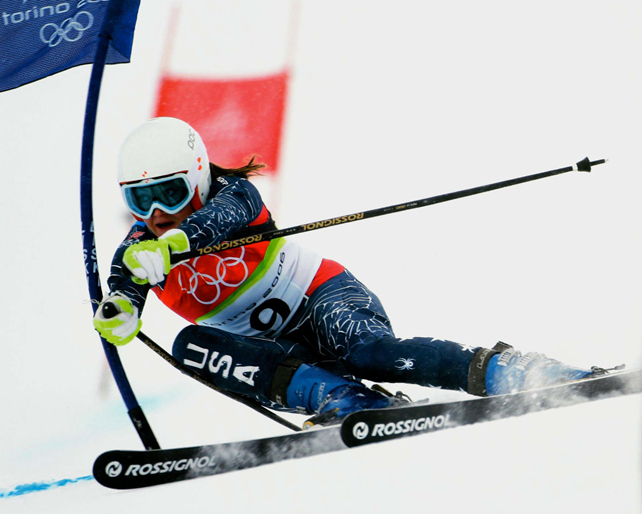 At just 24, she's won more medals than any other female skier in the history of the Winter Olympics. Janica Kostelic of Croatia took gold in the combined at Torino 2006, thanks to a first place in the downhill and a second in the slalom. She also took silver in the super-G. Those two medals join the three other golds (slalom, giant slalom and combined) and one silver (super-G) she took home from Salt Lake 2002. This puts Kostelic ahead of women's skiing legends the likes of Vreni Schneider (three golds, one silver and one bronze) and Katja Seizinger (three golds and two bronzes). 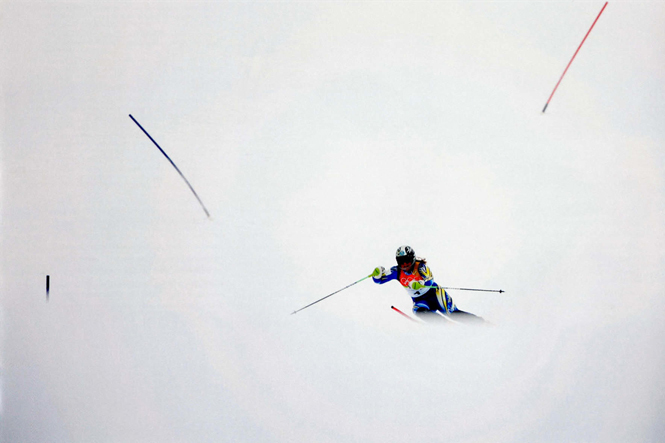 Astonishingly, despite her tender age, Kostelic has already undergone 11 knee operations.